The property comprised of two grade B listed, Georgian houses set in a classical terrace. Previously a hotel, though traditionally two houses, the client wished to convert the property back into a private residence for their young family. 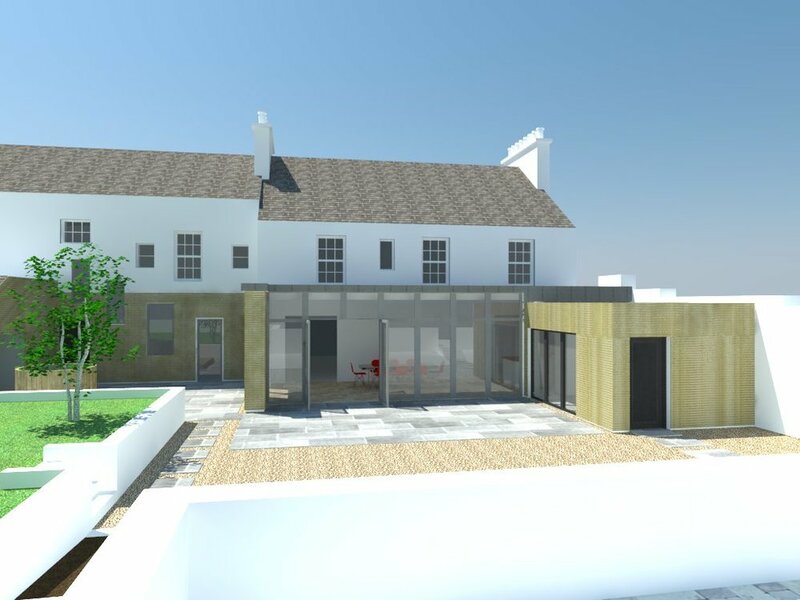 The proposals involved internal alterations, demolition of modern outbuildings to the rear and the construction of a new contemporary extension. 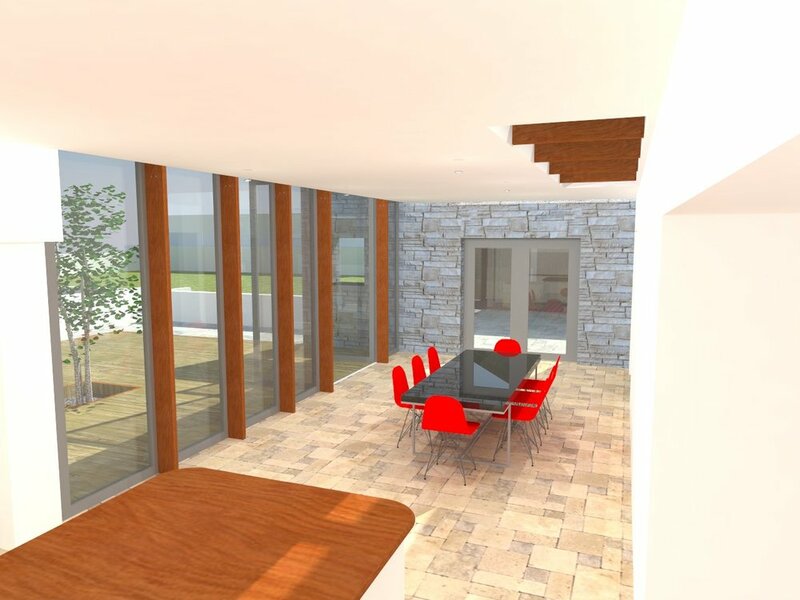 The layout of the large dining room is set around an expanse of glazing, separated by Douglas Fir timber posts. These run beyond the edge of the ceiling, creating a disconnect between these structures, leading the eye out towards the large rear garden. The extension was clad in horizontal strips of Scots larch supplied by Russwood. 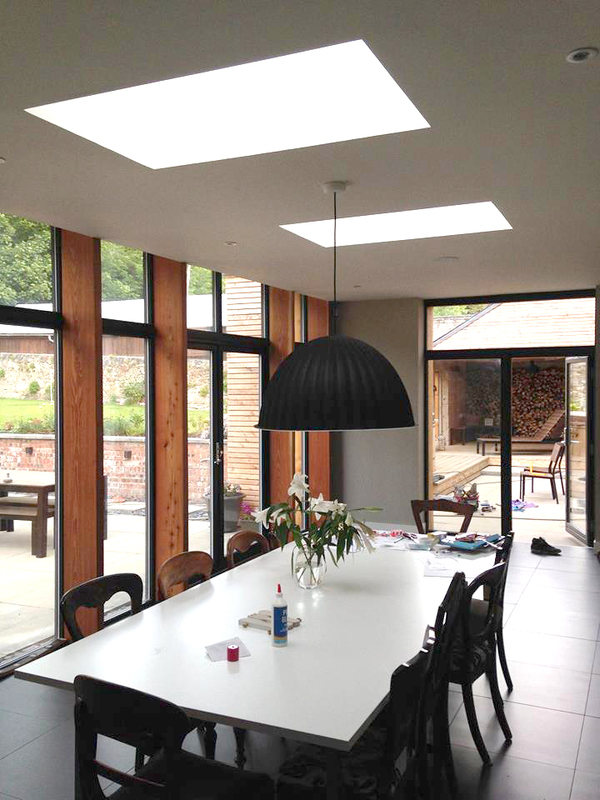 The works required a conversion application as part of the planning process as well as listed building consent. Historic poor construction was discovered during the strip out which required attention and further design. Contingency sums form an important part of refurbishment works and help to anticipate potential unknowns.